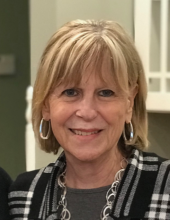 Sharon Ann Lynch Blair, 67, of Westminster, passed away peacefully at her home on Saturday, April 6, 2019, surrounded by her loving family. She was the wife of Lawrence Blair, her devoted husband of 47 years. Sharon was born on July 3, 1951 in Baltimore to the late William and Doris Baus Lynch. In addition to her husband, Sharon is survived by her children; Gregory Blair and his wife Danielle of Westminster, Ryan Blair of Annapolis, and Lauren Rivas and her husband Miles of Westminster. She also leaves her 8 grandchildren; Noah Blair, Elijah Blair, Penelope Blair, Oliver Blair, Liam Blair, Olivia Blair, Maddox Rivas and Emilia Rivas. For more than a decade, Sharon was a Coordinator of Community Service for Carroll County Public Schools and she enjoyed volunteering with children. Most of all, Sharon cherished her family and every moment spent with them. Sharon was beloved by all who knew her. She grew up in Arbutus, MD and attended Archbishop Keough High School. She was married at the US Naval Academy in 1972 and raised her wonderful family in Carroll County, MD. She was a member of St. Joseph's Catholic Community in Eldersburg, MD and St. John Catholic Church in Westminster, MD. 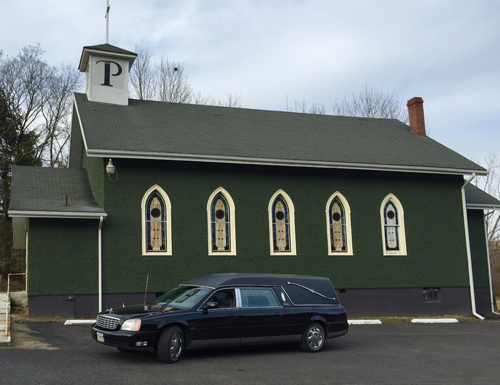 Sharon’s family will welcome visitors on Wednesday, April 10, 2019 from 5 to 8 p.m. at Pritts Funeral Home & Chapel, 412 Washington Road, Westminster. A Mass of Christian Burial will be held on Thursday, April 11 at 10 a.m. at St. John Catholic Church, 43 Monroe Street, Westminster. Donations, in Sharon’s memory, to the Ovarian Cancer Research Alliance, 14 Pennsylvania Plaza, Suite 2110, New York, NY 10122 or online at https://give.ocrahope.org would be welcome. To send flowers or a remembrance gift to the family of Sharon Ann Lynch Blair, please visit our Tribute Store. "Email Address" would like to share the life celebration of Sharon Ann Lynch Blair. Click on the "link" to go to share a favorite memory or leave a condolence message for the family.